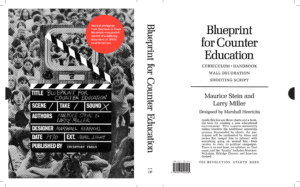 This past spring marked the release of the Inventory Press expanded reprint edition of Maurice Stein and Larry Miller’s Blueprint for Counter Education, one of the defining works of radical pedagogy of the Vietnam War era. 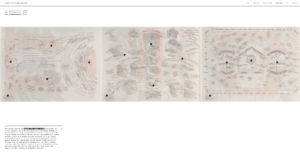 First published in 1970, integrated into the Critical Studies curriculum at CalArts (where the authors served as deans and faculty), the original work was accompanied by posters intended to serve as a portable learning environment for a do-it-yourself, process-based model of education. 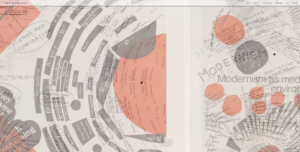 It also included a how-to manual (the “Shooting Script”), a bibliography, and checklist mapping patterns and relationships between radical thought and artistic practices from the avant-gardes to postmodernism. To the original core, the reprint edition adds one additional book: a so-called “Instruction Manual,” much like the “Shooting Script,” that contains essays on the genesis of Blueprint (by myself) and on its role at CalArts (Paul Cronin), as well as interviews with Stein and Miller, a 1970 review by Lawrence Lipton, and a 1970 round table including Herbert Blau, Allen Kaprow, Morton Subotnik, and others, reprinted from the Los Angeles Free Press. 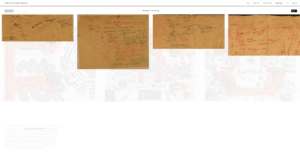 The operation can be carried out on any scale, zooming from small particulars to an overall view of the three posters assembled as Stein and Miller intended. 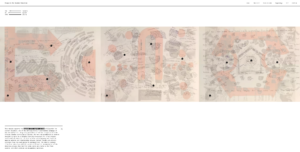 Specific “hot zones” are marked by plus signs that, when clicked, expose sequences of notecards and early charts from Stein’s archive that trace the evolution of a particular region. A downloadable DIY pocket edition is forthcoming at the end of 2016. 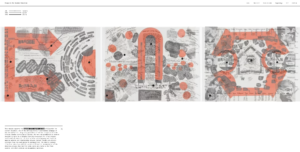 The expanded reprint edition of Blueprint for Counter Education is distributed by DAP and available for purchase at http://www.inventorypress.com/product/blueprint-for-counter-education.